During medical needle placement using image-guided navigation systems, theclinician must concentrate on a screen. To reduce the clinician’s visual reliance on the screen, this work proposes an auditory feedback method as a stand-alone method or to support visual feedback for placing the navigated medical instrument, in this case a needle. 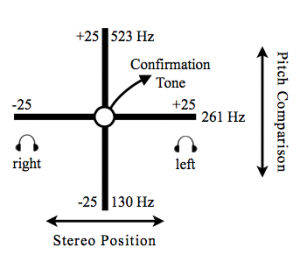 An auditory synthesis model using pitch comparison and stereo panning parameter mapping was developed to augment or replace visual feedback for navigated needle placement. In contrast to existing approaches which augment but still require a visual display, this method allows view-free needle placement. 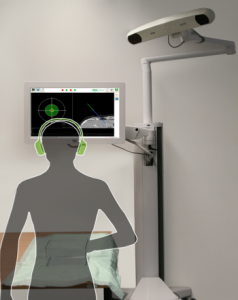 Audiovisual feedback shows promising results and establish a basis for applying auditory feedback as a supplement to visual information to other navigated interventions, especially those for which viewing a patient is beneficial or necessary.